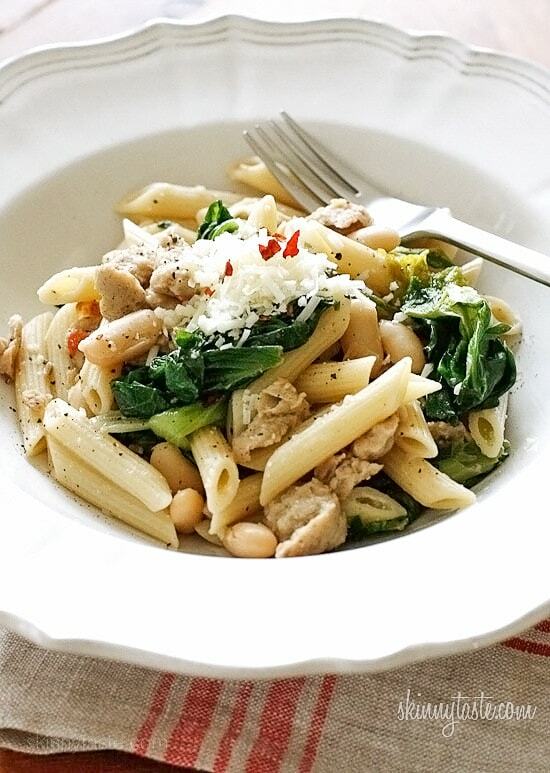 Penne pasta tossed with garlicky escarole, lean Italian chicken sausage, cannellini beans, crushed red pepper and grated cheese. I cannot even begin to describe how good this is! A winner with everyone in my home, even my picky kids. 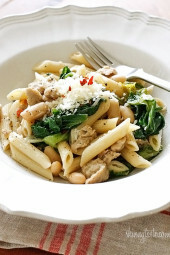 Easily made gluten free with gluten-free pasta, for those of you who have dietary restrictions. For the Italian chicken sausage, the two brands that taste best are Al Fresco’s uncooked Italian sweet chicken sausage or Premio, turkey Italian sausage would work just as well in this dish. Cook pasta according to package directions for al dente in a large pot of salted water. Reserve 1/2 cup water before draining. Add olive oil; when hot add onions, garlic, salt and pepper until soft, about 4-5 minutes. Add sausage, breaking up with a wooden spoon and cook until golden, about 6 to 8 minutes. Set aside in a dish. Add chicken broth and beans to the skillet. Add the escarole; stir and cook about 4 minutes or until wilted. Gently stir in sausage, pasta, red pepper flakes, 1/2 cup of the reserved water or more if needed and grated Parmesan. Adjust salt and pepper if needed and toss well; transfer to a large serving bowl. Enjoy with some extra cheese on the side. Wow! This was surprisingly good. I was not expecting a ton of flavor in this dish. It’s definitely a nice change to saucy pastas. I used sweet italian pork sausage since I cannot find uncooked chicken sausage anywhere. If you do use pork sausage, I would recommend cooking the sausage halfway before adding the onion and garlic. I also subbed the escarole for spinach. LOL. It's super good. I make it at least once a week. 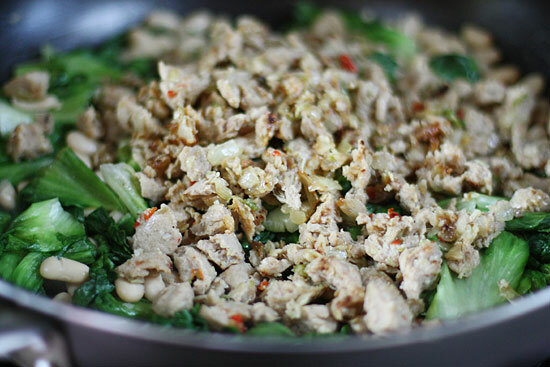 Gina, thanks for this delicious (and healthy) italian chicken sausage recipe. Try kale instead of the escarole. Gina, this recipe is so delicious. Everyone loves it and I make it especially for my mom. Another hit and I am so addicted to your recipes!! Thank you once again, Gina… Another delicious recipe! I made this tonight but substituted kale for the escarole since I had some in the fridge that needed used up. I have lost 43 pounds through Weight Watchers, and YOU have made this an incredible, delicious journey… Thank You!!! This looks delicious! How many WW points would it be without the pasta? If I make this with Dreamfields pasta would my points change at all? Also, I am so so excited to have come across your web site. Your recipes sound and look so so delicious I can't wait to try them all! This will be my first to try!! I have a very picky 14 yr. old girl. Will let you know how it goes. Thank you again!!! This has become one of my favorite all time dishes! I make it at least once every couple of weeks. Just served it to some family who came to visit and they all raved. Thanks for such a great recipe! This is true comfort. I used kale. The entire combination was bursting with flavor because I used 3 tablespoons of hot pepper flakes…love it spicy. I've made this but with peppers instead of the beans. 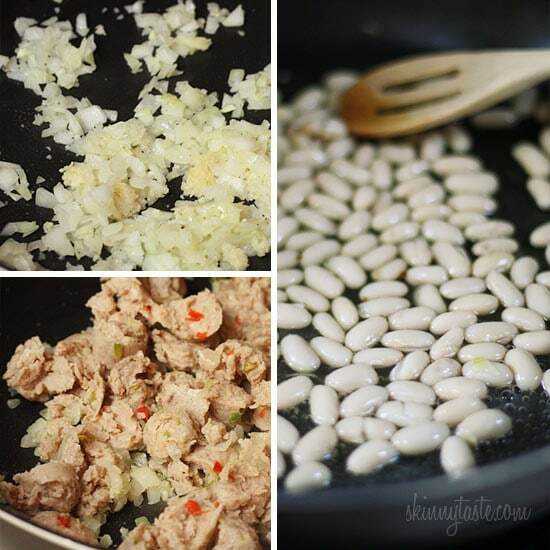 Tonight I'll try the beans and plan on adding some diced tomatoes as well! Delish! I used kale and Trader Joes's chicken sausage. This was filling and tasted fresh. Love. Will definitely make again. In fact, I have been making a Skinnytaste recipe everyday for the last two weeks. I'm going to start reviewing them from now on. Comments from those who actually make the dish are so helpful! We had this for dinner tonight. I had to use Angel Hair pasta because I forgot to buy the other kind, but wow! What a lot of flavor in this dish! Even my husband enjoyed it and he's never had escarole or chicken sausage before! Wonderful…I'm so happy my daughter told me about this site! I'm actually having fun cooking! Just finished having this for dinner and it was EXCELLENT. I was worried that it would be bland without a "sauce",but it was full of flavor. I will be making this again for sure! I don't usually comment, but I made this last night and it was outstanding. Much better than i was even expecting. Probably one of my top pasta dishes I have made. My kids (ages 7, 5 and 2) all loved it to, though they did pick out the Kale (they don't like greens). The Kale substituted worked out great. We just finished this pasta dish. Definitely restaurant quality. Amazing. We're making your crab cakes AGAIN tomorrow and the new pulled pork the next day. We LOVE your recipes!! Where is the cooking show?? Should we start writing Food Network for you? I have made this 3 times now as it was such a hit with the family. Thanks so much! This was great! I like my sauce a little on the thick side so I also added 1/4 cup white wine for more flavor and a tablespoon of flour, it created an amazingly delicous coating on the pasta that wasn't too runny! This is a great dish! my hubby loved it! 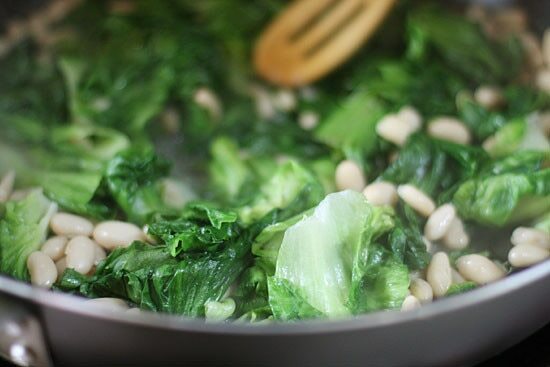 I swapped out escarole fror spinach, and this dish was amazingly delicious and easy. AND it reheats well! Okay, so I have a silly question. I have been making your recipes for 2 years now and LOVE them ALL! But when it comes to the pasta recipes I get confused when you say 10 ounces or whatever it is supposed to be. When I measure pasta in my measuring cup it always seems to be way too little. How and when do you measure your pasta ounces? Is it before cooking or after and what do you use to measure? Thanks Gina. I want to make sure I get it right. 10 oz. is by weight. You have to weigh it on a kitchen scale. Thank you for the information. Do you weigh it before or after cooking? Add a cup of the Filetto di Pomodoro towards the end. It makes an already great recipe a little better. I made this for dinner tonight. We used kale since it was available. Thanks for another good recipe. I made this tonight – so easy and so so so good. My husband loved it too! Thank you for your wonderful recipes! This was SO SO SO SO SO good. Amazing. Anytime I make a new dish from this site I am impressed and this one was exceptionally over the top tasty. As my husband always says, "Gina never lets us down!" 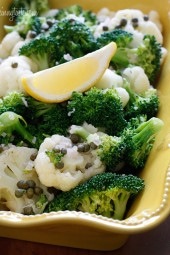 Thanks Gina for another great recipe to add to my list of healthy options. BTW, I made this with that Fiber Gourmet pasta that is only 100 cal per 2 oz. and was able to up the portion size with the same great taste. Just wonderful! I just made this for dinner tonight. It was absolutely delicious. I made this tonight! It was phenomenal! Thank you for all you do! What tloabo said – I just made this and it's fantastic! Thank you so much. Made this tonight and it was delicious!!! Only problem is that I ate more than I was supposed to with Weight Watchers!! 🙂 I used Kale instead of Escarole which I couldn't find. Thank you…..I love this blog and so does my family!! I made this tonight, so easy and so good! Thanks for posting such great recipes. Looks yummy! 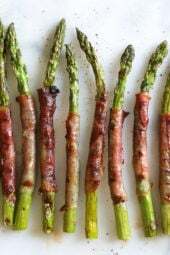 Your blog is such a great source of delish recipes…thank you!!! 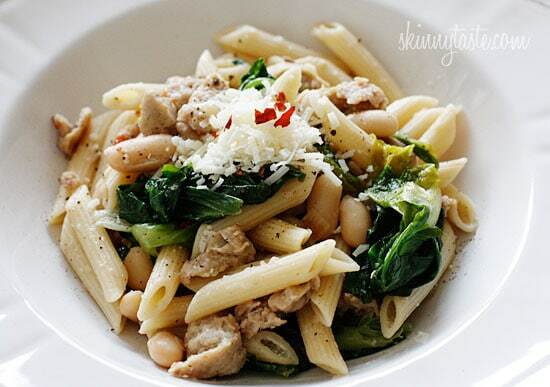 Escarole beans sausage… Yummy I love this dish! If I get out the pasta and sausage would I only point for the oil? The points are 1 point per teaspoon right? This looks delicious!! I love chicken sausage. I usually get mine at Wegman's or Whole Foods. Replace the escarole with any greens if it's not available near you. Yum! What a beautiful looking pasta! I just love using chicken sausage, and I don't think you really notice a difference!! Great dish!! This will be dinner tonight! I was planning on making escarole bean soup so I already have the ingredients. Looks awesome! I just discovered Al Fresco's cooked chicken sausage this weekend & enjoyed the country style for breakfast this morning….delicious! I will definitely be making this recipe soon. I made your Turkey White Bean Pumpkin chili last night & even my picky eaters enjoyed it! Love your site…thanks for all you do! Maria, yes broccoli rabe would be great! 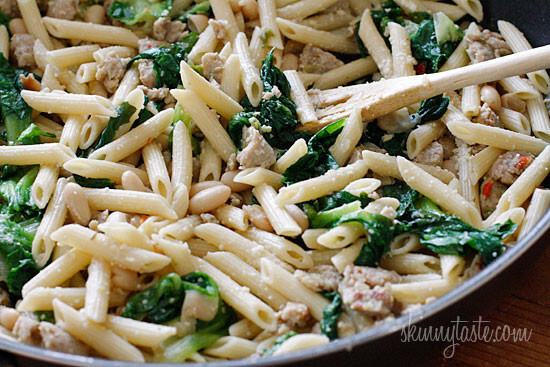 Tricia, sure, you can make this without the sausage and pasta. I made this tonight it was Fantastic! I have to admit I grabbed the wrong sausage I got Pork NOT chicken but made it anyway! Will be making again with chicken! oooo…as soon as I saw this I was thinking broccoli rabe!! that would be good too!!! I used the al fresco Roasted Garlic cooked chicken sausage in your Pasta with Italian Chicken Sausage, Escarole, and Peppers dish last night. It was fantastic! I can't wait to use it in this recipe! I've done this before, but I add a bit of chicken broth and sage to make it more sauce like. 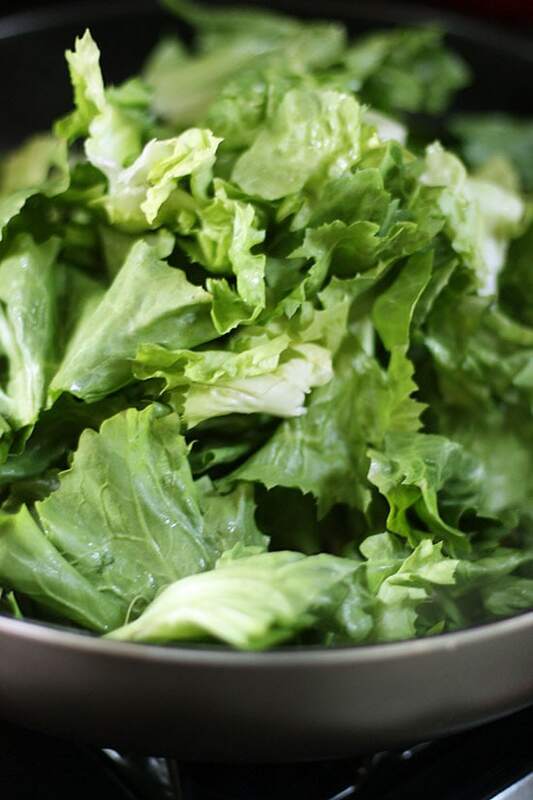 You can also substitute the escarole with swiss chard or spinach and it is also delicious.